Using the NewKnow platform gives you the power to provide ongoing training and communication with your staff, efficiently and enjoyably. This month, Anipier shares her tips on the best ways to launch the app so that NewKnow works best for you, right from the start. We all know that branding is important for both customers and staff. 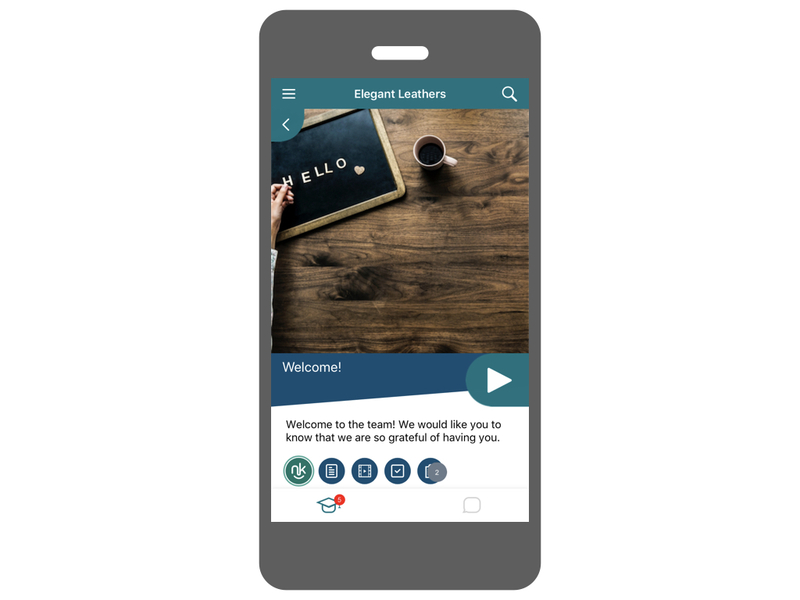 Reinforce your brand identity by adding your logo and customizing colors to make the NewKnow app look and feel like your business. You can also structure your account to mirror the structure of your organization. This means specifying locations, departments, titles and particular employees who will be using the app, making it easier to create teams and assign specific content to those who need it. And remember to add company information. This is the simplest and clearest way to connect with partners and potential contacts in the NewKnow network. Whether it’s onboarding, product knowledge training, or operational communications, create modules that can be done in short chunks. And make them fun! Try giving your trainees an opportunity to test their knowledge with a quiz. This motivates staff to engage with training materials and gives you the opportunity to recognize and reward their achievements. Invite your employees to connect with your branded team. It’s easy to do and gives staff the ability to directly connect with their employer. It also allows you to organize your staff into groups based on location, department and title. This will make assigning modules and learning bundles more streamlined, as you continue to develop content for each of your teams. Keep in mind that your first module is not just a great way to start training, but also a fantastic way to familiarize staff with the NewKnow platform. Create a first module that is clear, simple and welcoming. Use it to engage your staff and prepare them for subsequent modules that may be more comprehensive or intensive. NewKnow is a great way to support the important relationships in your retail business network. Be sure to search in My Partners and connect with your vendors or retailers. If they haven’t discovered NewKnow yet, it is easy to invite them directly from your account. For brands, inviting retailers to the network is an easy way to deliver consistent brand messaging across all frontlines by providing free support and training to the sales associates, with real-time results. Connecting through the NewKnow network creates an open line of communication with stores and their staff. This allows you to educate and communicate with the frontline selling your brand at any time. For retailers, you can invite your brand partners to join the NewKnow network, to provide free support for training your high-churn frontline associates for every brand on the floor, all year-round. This allows you to focus on your store’s internal training and operational content, while knowing the product knowledge is covered exactly when it is needed, ensuring consistent delivery of unique in-store experiences to your customers. Setting up your NewKnow account with this 5-step strategy will optimize the platform’s power to train and communicate with your staff effectively, and make for a smooth launch. Starting on the right foot is important, but it’s also this simple. Want to learn more about how NewKnow can help you and your staff? Get in touch here, for more information. Start training your team today. *Seriously, there’s no fine print. What are you waiting for? NewKnow is an app that helps retail networks and brands support their front-line by making cross-network training, onboarding, and communicating simple, fast, and accountable. © Copyright 2017 NewKnow Inc.